Mid-size sedans such as the Mazda6 may have fallen out of favor among new-car buyers, but off-lease volume and competitive in-vehicle technology, among other factors, have created compelling value in the pre-owned segment. (Bobit) — A glut of off-lease units and vanishing factory incentives are creating a value and affordability gap that is pushing more car buyers toward pre-owned units, experts say, and their interest extends to vehicle types that have fallen out of favor with new-car buyers and manufacturers. The latest reports from Black Book and Jumpstart Automotive Media (divs. Hearst) show value retention and website traffic trending up among sedans throughout 2018 — the same year in which a parade of sedans built by Ford, General Motors, and other manufacturers were given expiration dates as consumers continue to demonstrate a preference for SUVs, CUVs, and trucks. Black Book’s November Used Vehicle Retention Index stood at 116.5, up 0.2% from October and the seventh consecutive monthly gain this year; only in March did the index trend downward. November’s best performers were mid-size luxury SUVs and CUVs (up 0.8%), but that category was trailed closely by subcompact cars (0.6%), mid-size cars and premium sporty cars (both 0.5%), and luxury cars (0.4%). One factor is in-vehicle technology, particularly infotainment, which continues to advance but hasn’t taken a quantum leap since Apple CarPlay and Android Auto were introduced several model-years ago. “Sedans are sustaining interest from buyers of used vehicles because they see the value in pricing today, and the features and technology found in used sedans today are comparable to what is available in SUVs and trucks,” said Anil Goyal, executive vice president of operations at Black Book. According to Black Book, over the past 12 months, used vehicles depreciated by an average of 12.5%. That’s a marked improvement over the 13.2% decline in the year-ago period and the 16.8% average depreciation recorded between November 2015 and November 2016. Black Book’s figures dovetail with the performance of Jumpstart-powered dealer websites, where 33.6% of all users have researched used vehicles in October, compared with 30.1% in the same month last year. Interest in used vehicles among Jumpstart partner sites peaked at 35.2% in May. 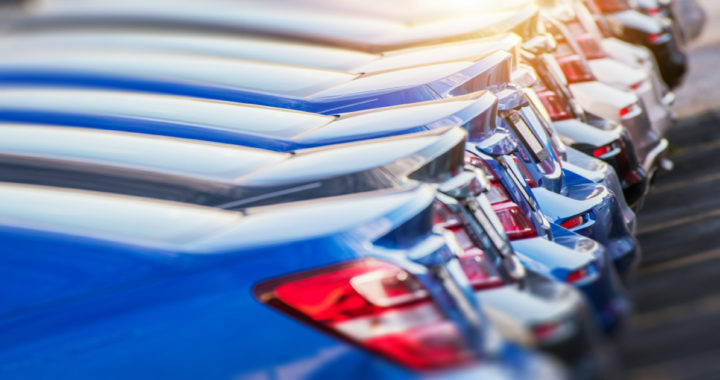 Colin Thomas, Jumpstart’s senior analyst for strategic insights and analytics, said dealers can expect this trend to continue into 2019. “As prices of new vehicles creep up and incentives continue to shrink, it’s expected that consumers will increasingly research and consider used vehicle choices — especially in the 1- to 3-year-old age range—which today have quality and features that compete heavily with new models,” Thomas said. Posted in News and tagged Sedans Get Second Chance in Used-Car Market, Sedans Ranking in Used-Car Market, used vehicles depreciation in last 12 month, Used-Car Market in Akron Ohio.